Wood species fall into two main categories: hardwood and softwood. Then it gets complicated. Builders must assess the woods moisture content (MC) in order to successfully install wood flooring. However, they must adjust or program wood moisture meters for the correct specific gravity setting or species adjustment for the wood species that they are measuring before using meters. This is to ensure that the reading reflects the MC appropriate not only to wood but to the correct wood species being measured. MC in green wood species can be highly variable. A tree’s heartwood, its wood core, often contains very different wood MC’s than its sapwood, the wood underneath the bark. Coastal Douglas-fir, a common softwood, carries an average green wood MC reading of 37 in the heartwood and a whopping 115 in the sapwood. On the hardwood side, the sweet gum tree has a sapwood MC reading of 137, and a heartwood reading of 79. By contrast, white ash contains almost identical green wood species MC’s from heartwood to sapwood. It’s clear that wood species distinguish themselves by definition. Since wood is a product of its environment, a wood’s MC is partially produced by geography. Wood is grown in three specific regions of the United States: Western, Northern-Appalachian, and Southern. 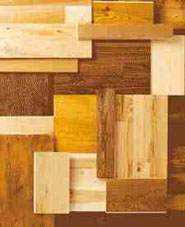 The distinct traits of different wood species are especially applicable to wood which is imported from around the world. Each species is a biological structure containing chemistry and cell types. Use that living tree for quality wood floors, and you must be familiar with the general properties of each wood species as this also can influence the woods equilibrium MC in the end product application. All wood species contain cells with some degree of moisture within. In fact, bound water is moisture that is held in the cell wall and free water exist as liquid and vapor in cell cavities (lumens). As different wood species hold differing amounts of moisture, they act and react differently to the presence of moisture. Water influences wood properties greatly, so different wood species fit different building applications. Builders must ensure that the woods MC fits the flooring application and the wood species. Wood reaches its equilibrium moisture content (EMC) when its MC is in balance with that of its surrounding environment. Changes in relative humidity (RH) cause fluctuations in the woods MC – from the forest floor to the newly-installed wood floor in your home. Installers must adjust or program moisture meters to the correct wood species parameters in order to precisely assess the wood’s MC. 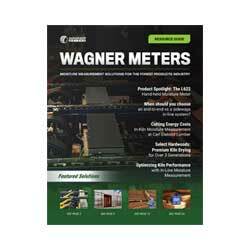 Wagner Meters produces MC meters geared for general wood applications to those deployed for building materials inspection. By choosing the right meter, installers and consumers safely measure and monitor the wood’s MC readings for each distinct wood species. Measure it accurately, as the wood’s EMC is important and becomes part of the wood products’ long-lasting beauty and strength.